Tyson was neglected, with hair loss and he was under weight. 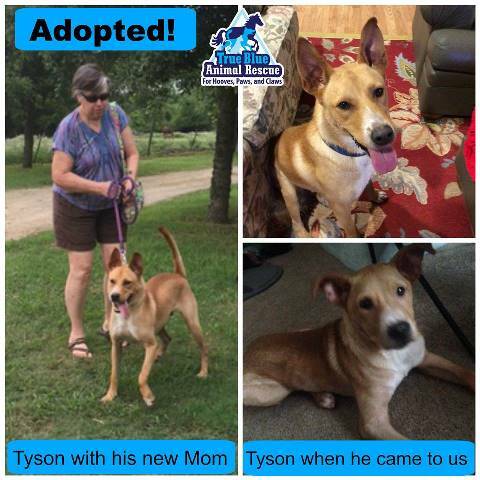 He soon gained weight and learned to trust his world but it took him a while to find his perfect forever family because he had floppy back legs that would go out from under him sometimes. X-rays showed that he was not in pain. It was just how he was born. 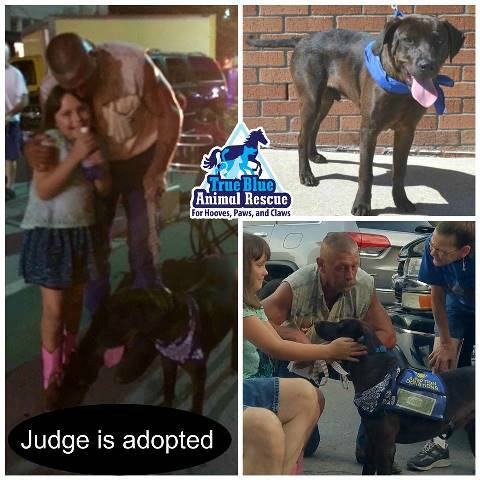 Thankfully Marie adopted him despite his condition and now he has a family of his own! Lucky Tyson and Lucky Marie! Consider adopting a pet. 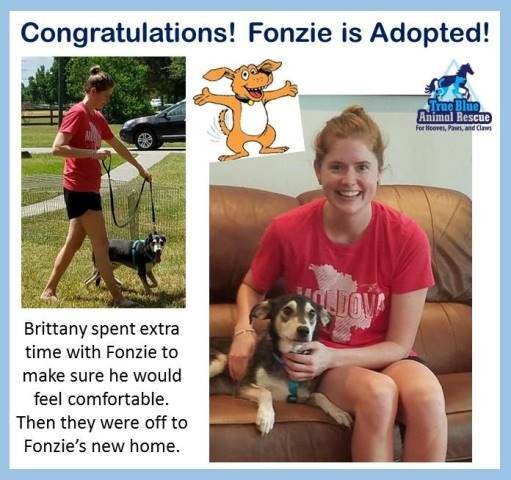 View our adoptable animals to see if we have one that’s right for you! 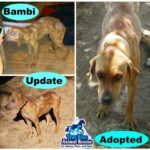 Bambi was found in a ditch, sick, skinny and hairless. Her foster Mom, Kyrstin, took her in, took care of her and helped her get healthy. 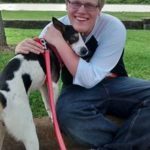 During this time Kyrstin fell in love with this sweet and gentle dog and decided to keep her. 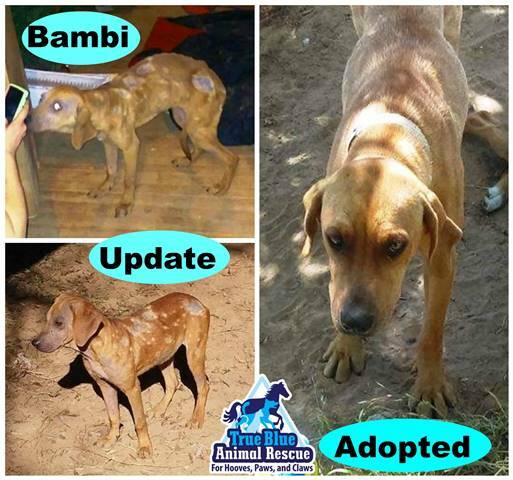 This might be a foster failure but for Bambi it’s a huge success! 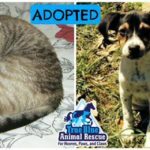 I am way behind on announcing pets that have been adopted. I’ll do my best to catch up starting with Bella! 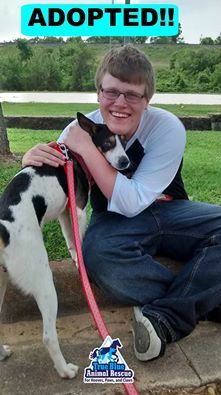 She was adopted by Ben and will be his companion as he attends college! Hooray for Ben and for Bella! 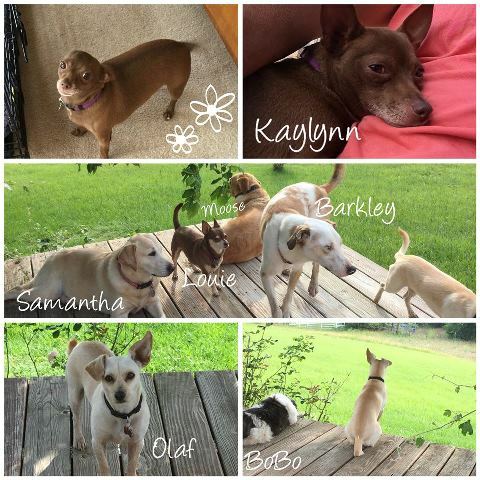 If you’d like to adopt a new friend check out our adoptable pets listings and give us a call 936-878-2349 for more information! 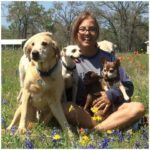 She touched on the different aspects of rescue animal jobs and the emotional rides we take as officers, staff, and volunteers with any animal rescue organization. 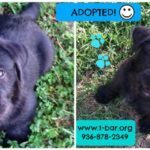 So, I am here to clarify this roller coaster ride of emotions as I, yet again, become a foster failure. Sending one of my last fosters to a permanent home tore me up as I had bonded to Joanie, a terrier/dachshund mix with a litter of puppies that we fostered. So I vowed not to foster anymore – letting them go was just too hard. And then the call went out on Social Media for yet another little face. 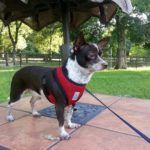 A Chihuahua mix named Dobby entered our front door as a scared owner surrender that was “labeled” at a shelter as a “biter”. But, at about 8 pounds he didn’t look like a bad. little guy. We were just supposed to transport from shelter to another foster home. … just inside our front door entry way, where we could isolate him from our other dogs. …just inside … just inside my heart. It turned out to be kennel cough – a bad case of upper respiratory infection. As we nursed him back to health and we worked him through some of his issues, I realized I couldn’t let him go. He has now bonded with my two other rescue Chihuahua mixes and sometimes all three will puppy pile in one of our laps to watch TV. James and Linda – foster failures. 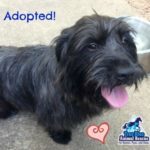 Dobby wins a new permanent family! 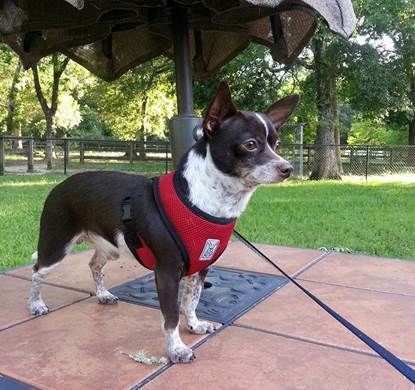 Now that all the puppies are adopted their sweet Mama, now named Cocoa, found a home too! 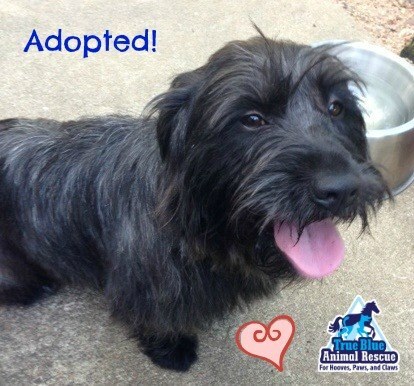 Happy tails for the whole Schnauzer mix family!! Adopt, don’t shop! You won’t regret it. 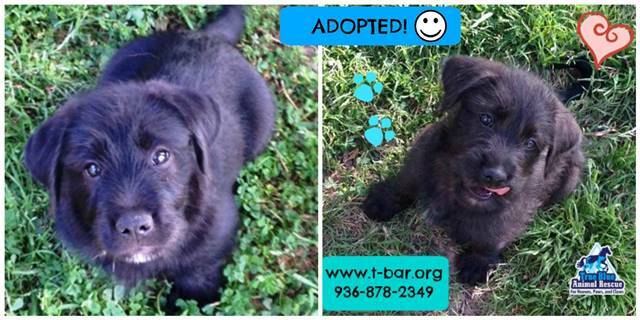 The last two Schnauzer mix pups have been adopted! 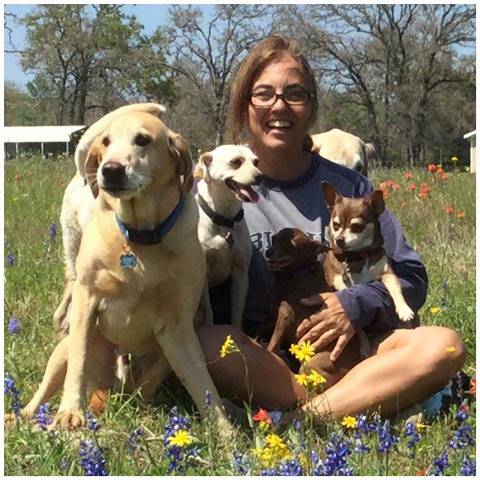 Thank you Mary Ann for giving the last two puppies a wonderful new home! Vanilla Latte and Remi are in new homes this week. 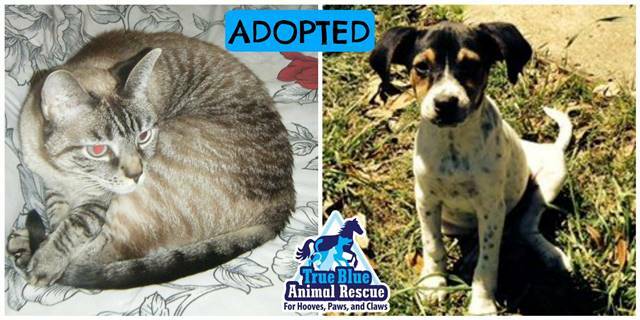 If you’d like to adopt a puppy, dog, cat, kitten or horse take a look at our adoptable pets and let us know!